Is it Fair for People to Criticise Glastonbury for Booking Stormzy as the First Headliner for 2019? “Grime MC Stormzy has been announced as the first headliner of the 2019 Glastonbury festival. Glastonbury’s 2019 festival takes place 26-30 June, following a fallow year in 2018. Around 200,000 tickets for the festival sold out in just 30 minutes when they went on sale in October”. “The album continues to shift, gradually at first, with harder tracks alternating with R&B or gospel numbers; by the halfway point, "Cigarettes & Kush," mellow vibes dominate the record. The refusal to pack the track list with bangers is the differentiating factor between Stormzy the grime MC and Stormzythe artist, elegantly showcasing that grime doesn't have to play by the rules, and that artists can express themselves outside of boasting and smack talk, acting as ammo for the argument that diversity and creativity are still prevalent in the scene”. The Grime scene in the U.K. is growing and inspiring new artists to the spotlight. Long gone are the days when Dizzee Rascal rose to prominence but that absence has been filled by a variety of solid and exciting artists who look set to have a long future. Stormzy is, unofficially, seen as one of the leaders of the scene and is delivering some powerful words. I know he has only released one album but, as many people are pointing out; Oasis headlined Glastonbury in 1995 after only one record – the world-class introduction, Definitely Maybe. I know there is a huge difference between the situations. Oasis dropped a Britpop-ready masterpiece that was awash with anthems and solid tracks. It was an album ready for stadiums and huge festivals; the chance to see a band elevated to the country’s biggest stage just as their careers were starting. There was a feeling Oasis were voicing something exciting and about to make history. Stormzy’s debut album has a different sound/appeal but, at a time when the nation is falling apart and there is so much grumble and spin from politicians; there is a lot of attention and love for those with a political voice and social conscience. I feel, rather than get a well-known band to take the first headline stage; this seems more like a political statement. I do not feel it matters Stormzy has only released one album: the popularity and potential is already there and he has a strong fanbase. Rather than wait a few albums and capture him at a point where he is taking his music in a new direction; we will see something different and edgy. Stormzy’s live performances are commanding and hugely memorable and I feel he can take to the Glastonbury stage and triumph. The Pyramid Stage saw Radiohead conquer last year so, next year, will we see the same reaction for Stormzy?! The timing is very interesting. The ongoing Brexit shambles keeps getting more pantomime by the day. The Cabinet is coming undone and divided; it seems a leadership challenge to Theresa May cannot be far away – which slimy and malodorous challenger will succeed?! It is a right mess and nobody knows this like Stormzy. He has taken shots at the P.M. and knows the Conservatives do not speak for the nation. There is a whole sector of people who feel cheated, overlooked and distant. Until there is a Labour leader in power, the voices of millions will be ignored. It seems natural, in that context Stormzy would make the grade. I feel, by the time Glastonbury rolls around in June, we will know whether Brexit is a success and it seems perfect Stormzy will take to the stage and tell it like it is. I wrote yesterday, on social media, the fact there have been so few black artists on the headline stage through the years. Aside from Kanye West, Beyoncé; Jay-Z and Stevie Wonder; not too many names spring to mind! How many black artists did one see headline before the 2000s?! I will come to the subject of gender soon but it is a big step having a black artist top the Glastonbury bill. Many people, myself included, have critisised the lack of variety and diversity at Glastonbury’s peak stage. Maybe there has been a slight evolution in terms of bands/sounds - but there has not been a big shift if you think hard. There have been many getting annoyed the traditional Rock/Pop/Alternative sound of Glastonbury is being taken in a more Grime and Hip-Hop direction. R&B and Soul artists have taken to Glastonbury’s main stage and it is not unusual to have Stormzy headline. Whether you think one album makes him inexperienced and unable to cope with the pressure begs questions. It will be interesting to see what his set consists of. I guess he has time – between now and next year – to release another album so might have a natural set all ready and waiting. If not, then there might be longer renditions of his songs, covers or rare tracks that did not make it to Gang Signs & Prayer. I am not against a Grime artists headlining Glastonbury and feel, for a festival to evolve and reach new generations, it needs to react to what people are listening to and an artist who can articulate the voices and needs of the people. Rather than book the same old bands and familiar faces; this is a new and interesting move that will be interesting to see. It will be intriguing seeing whether Stormzy can provide a full and unique set – but I know he will handle it and deliver the goods! We are not sure who the other two headliners will be but it could be Madonna or The 1975; maybe it will be Sir Paul McCartney. I feel, given the booking of Stormzy; maybe another intense and vital act like IDLES might get their shot. They have released two albums and their recent record, Joy as an Act of Resistance, is viewed as one of the best records of this year. I do not think a Glastonbury headliner should be defined by age, class and experience. If they feel right and can bring something special to the festival then that is fair. Many, me again, were annoyed by the headline slots of Foo Fighters and Ed Sheeran last year. The former have played there before and brought little new and original to their set whilst Sheeran’s spotlight seemed a reaction to commercial success – his acoustic and softer approach to music seemed at-odds with the grandeur and immense platform Glastonbury provides. In a big to reverse that and, at the same time, offer diversity – racial and sonically – it is a good move from the organisers (one feels Emily Eavis was most instrumental in the decision). Maybe IDLEs or another band will get one of the other two slots but I feel, as good as Stormzy will be, there needs to be more consideration given to female artists. Not only have there been so few black artists headlining Glastonbury but that is the case with women too. Look back at the past fifteen Glastonbury festivals and only three women have headlined (out of forty-five!). Only four black artists have headlined the past ten festivals (not including next year), so it is clear something needs to be done! Beyoncé, I think, is only black woman to headline in the last twenty years and there are so many fantastic female artists who would do a fantastic show. 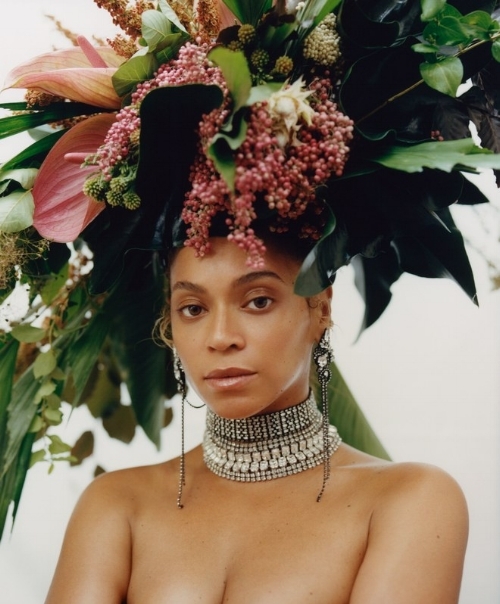 Not only could Beyoncé reign again – she has done a lot since her last headline slot in 2011 – but there is the likes of St. Vincent, Christine and the Queens and Janelle Monáe who could seriously own it. Throw in Björk and Lana Del Rey; Taylor Swift and legends like Kylie Minogue and there is plenty of choice. I would love to see Beyoncé on the Pyramid Stage and it would be a good accompaniment to Stormzy’s set. My big fear is there will be no female headliner or only the one – even one is not redressing the balance and not an adequate response to the problem. I am pleased Stormzy gets a chance to make some history and take Glastonbury in a new direction...but there will be some groans and discontent still. For those who feel a Rock band or Pop artist should be a headliner – or every slot should be in that mould – then who would you suggest?! We need a headliner who has the power and potency to unite people and bring a great show to Worthy Farm and not too many names come to mind. You need someone new who has not headlined before and something original. I feel the time is right for Glastonbury to make a change and be bolder when it comes to their headline names. GQ wrote an interesting piece that reacted to the announcement and asked whether Stormzy has enough crossover appeal – can he connect with those who prefer something guitar-based and a bit more ‘traditional’? “Fail to have a crossover success, though, and the rapper may need to go on a freestyle rant against Theresa May just to stop the vast audience from drifting. Because that’s the risk here. Stormzy is electric live. In 2017, his set on the Other Stage was a weekend highlight. He commands the stage with an energy and poise that makes other acts look flat. However when, say, Arctic Monkeys headlined after two albums in 2007, they had "I Bet You Look Good On The Dancefloor", "Brianstorm", "Fluorescent Adolescent" and many more. Yes, Stormzy won the two main prizes at the Brits this year, but if his fans can have a concern with him topping the Pyramid Stage in 2019, it’s that it’s a little too early, a little too bold. It took even Ed Sheeran three albums to headline, and he’s a bigger draw than God.